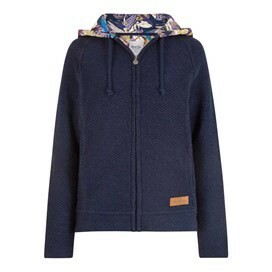 This season wear the Tilly full-zip, print lined Macaroni hoodie. 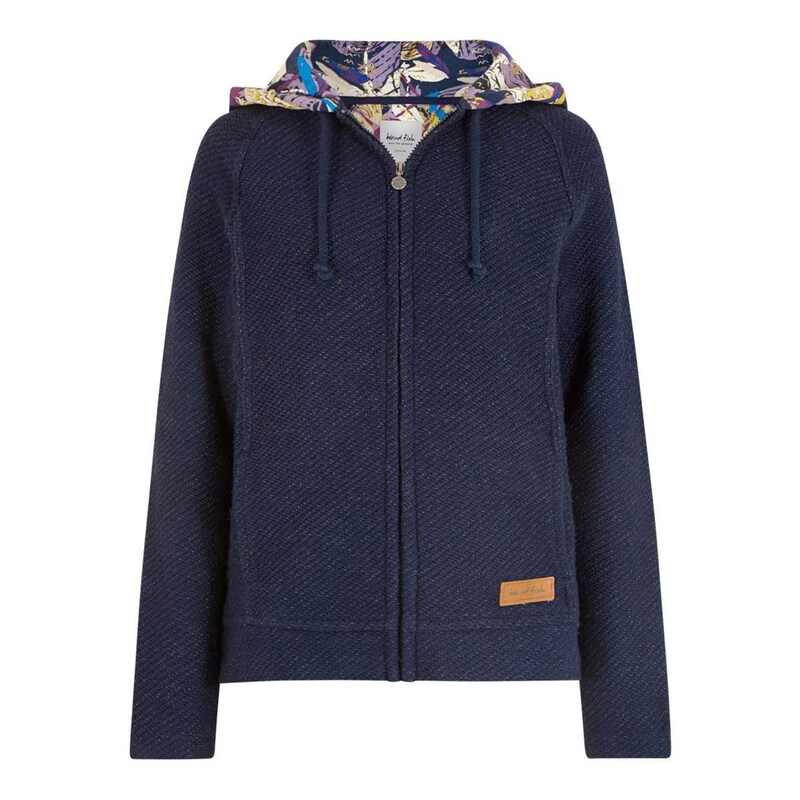 This classic sweatshirt in Midnight colour with an illuminating Dragonfly print-lined hood is made from our iconic Macaroni sweatshirt fabric which is exclusive to Weird Fish. 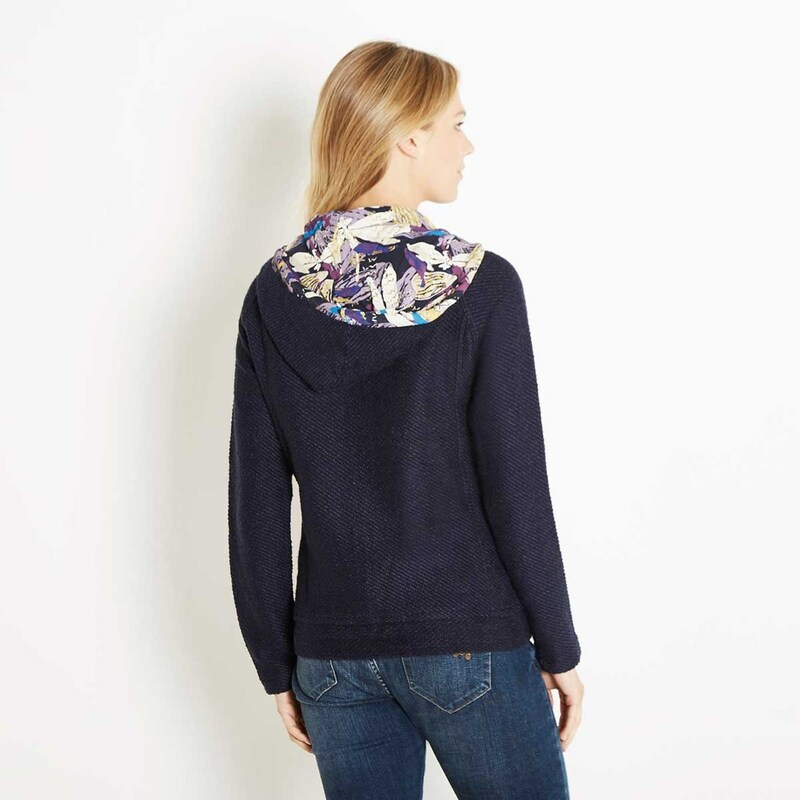 This Macaroni hooded sweatshirt is perfect for quickly throwing on over lighter tops, such as our Bollywood striped long sleeve t-shirt for when you’re in the great outdoors and temperatures start to drop.